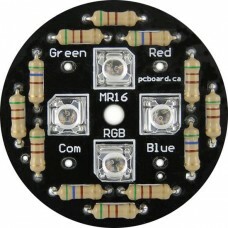 Two high-intensity RGB LEDs mounted on a module measuring 1.75" long x 0.5" wide x 0.15" tall (45mm long x 13mm wide x 3.5mm tall). Modules are separated by 3.5” (91mm) of connection wire in strings up to 10 modules long. 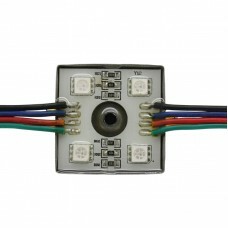 Modules have a single 3mm mounting hole allowing for convenient mounting options. 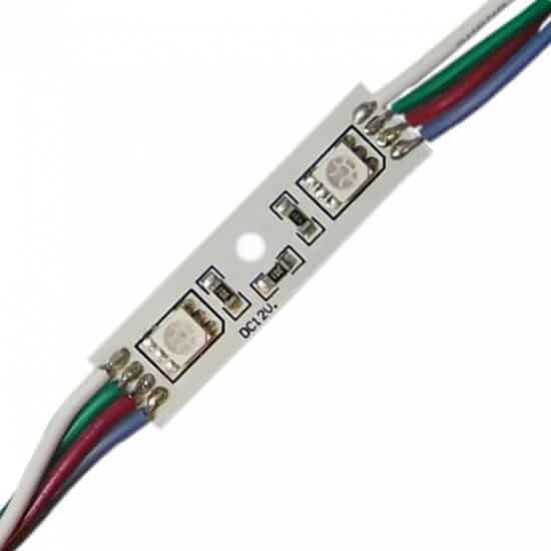 Modules are available individually or in strings of up to 10 modules pre-connected. 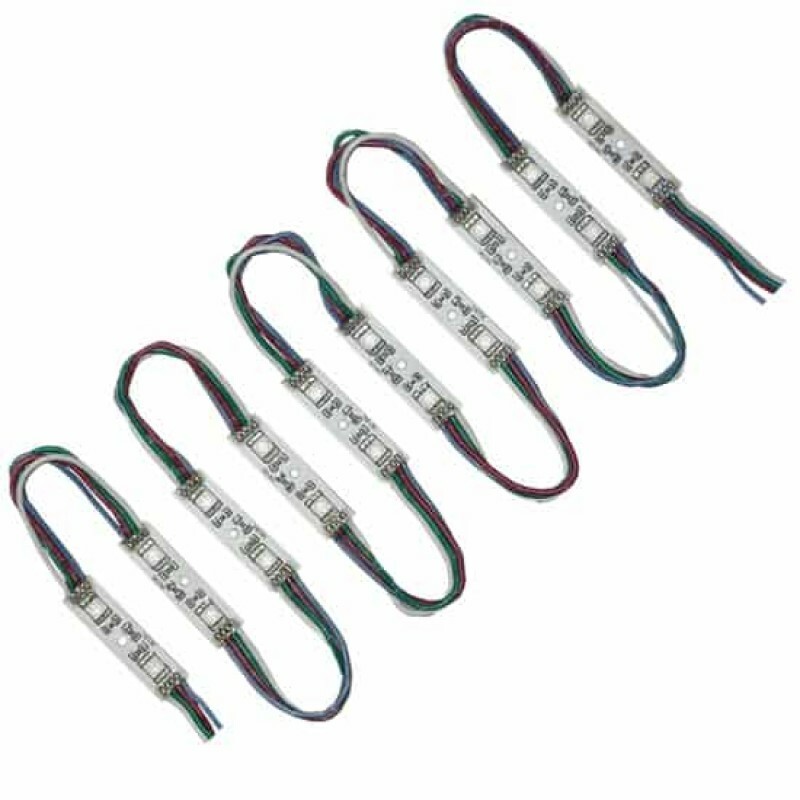 LED output color Red at an intensity of 3,800mcd, Green at an intensity of 6,200mcd and Blue at an intensity of 4,000mcd all with a viewing angle of 120 degrees. 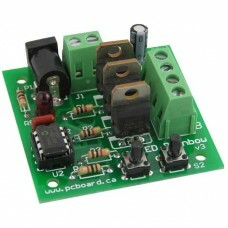 Power input is 12v-15v DC at a working current of 18mA (at 12v) per color on each module. 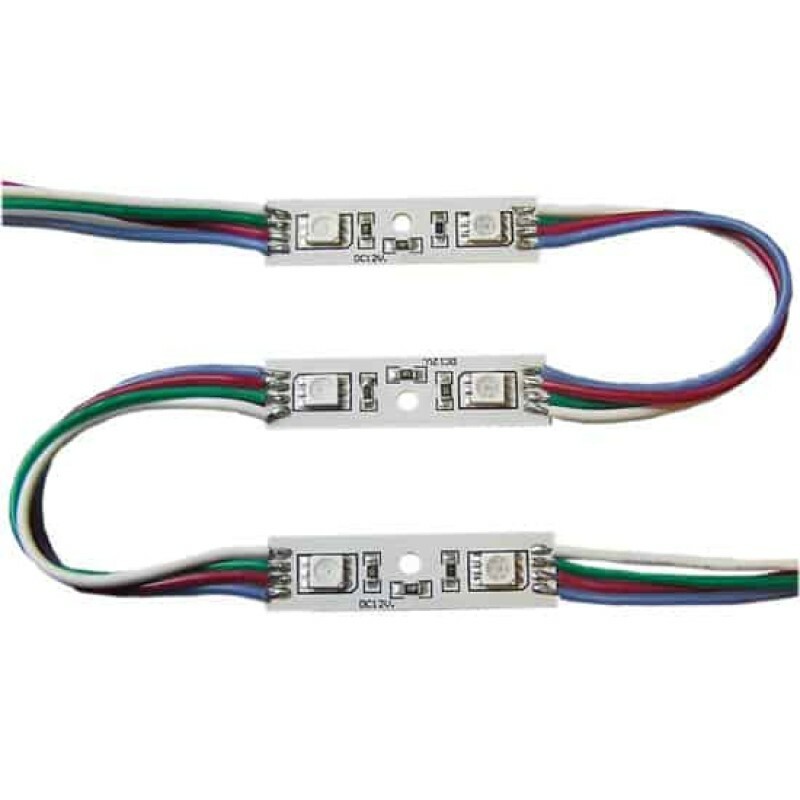 RGB Dual LED Modules are available individually or in multiple module string sizes.